Consultant, Technical Account Manager at Dell Inc.
Clients around the globe put Dell technology at the heart of their IT departments. Our Technical Account Managers (TAMs) address their two biggest challenges: meeting the needs of service users and keeping the information infrastructure available at all times. Much more than the customer’s go-to person when there’s an issue, TAMs take a proactive approach to driving technical activities. They specialize in helping customers focus on environmental stability and avoid problems before they occur. TAMs work closely with a range of colleagues to identify sales opportunities, drive best support practices, deliver consistent service levels and ensure complete customer satisfaction. As a Technical Account Manager, you are a key member of the EMC Customer Service Team who supports our largest and most strategically important customers. As a Technical Account Manager, , you are assigned and responsible for a specific area, region, or division with site locations as specified in account service plan, builds relationships within account(s) to become a support services trusted advisor focused on the total customer experience and satisfaction. You leverage various EMC resources to ensure incident resolution, drive proactive activities promoting system health and customer satisfaction. You also provide detailed customer reporting using a cross section of services tools and applications. You are also expected to collaborate with EMC account teams to understand the business strategy and supports sales opportunities. You will also be responsible for the account management of multiple customers or sites with larger install bases. Functions as the single point-of-contact for service activities, educates the customer on EMC service delivery, tools and interfaces. 8+ years relevant experience (customer facing, large accounts, industry related) with a Bachelor’s Degree. 6+ years related experience with a Master’s Degree. 3+ years related experience with a PhD. 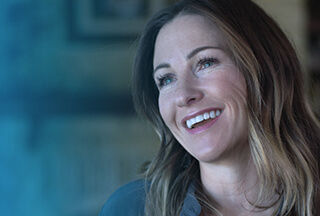 If you’re ready to play a key role at the heart of outstanding account services, this is your opportunity to develop with Dell.